Over the past 15 years, there has been an unprecedented worldwide increase in the number, breadth, and depth of preferential trade agreements. The number of Preferential Trade Agreements (PTAs) has doubled during this period, reaching 278 at the end of 2010. PTAs have been employed in all regions. Bilateral PTAs are becoming the norm, often between countries in different regions. South-South PTAs represent about two-thirds of all PTAs and North-South PTAs about one-quarter. A large number of PTAs have been adopted in The Middle East and North Africa (MENA) over the past decade and a half, both within the region and between countries of the region, the EU, Turkey, and the United States. 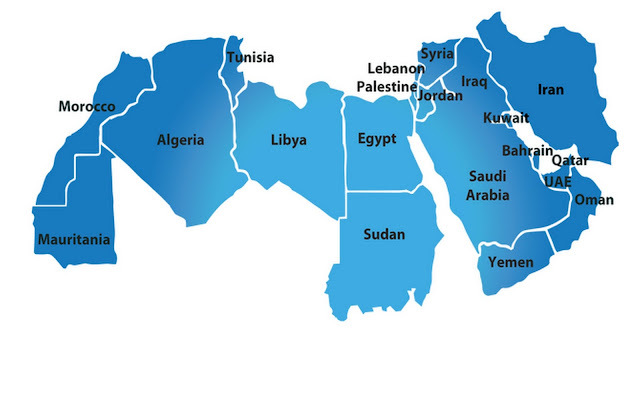 This proliferation of PTAs, with their varying sector and product coverage, rules of origin, and implementation requirements, constitutes a formidable implementation challenge for capacity-constrained MENA institutions. This explains, in large part, why implementation of the PTAs has been a gradual process that is still evolving. Available evidence suggests that the implementation of PTAs has had mixed effects in MENA. The use of PTAs has contributed to a significant reduction in trade and investment barriers, provided an impetus for behind-the-border economic reforms, and helped spur rising trade (figure O.3). PTAs have also encouraged participating countries to improve their trade infrastructure, harmonize border policies and procedures, and improve their supply chains and logistics facilities. There is little evidence regarding causality between PTAs and policy reforms, however, as countries such as Egypt, Jordan, Morocco, and Tunisia have embarked on major reforms on their own. There is also no evidence that PTAs have contributed to investment flows into the region. Total FDI has risen sharply in MENA over the past decade, but the bulk of it comes from within the MENA region, essentially from the GCC. The contributions of the EU and United States have been relatively small. The PTAs that MENA countries have signed with the EU and United States have given rise to a far more rapid expansion in imports into the region than exports out of it (figure O.3). The findings from a gravity panel model prepared for this study suggest that trade preferences granted to MENA countries by the United States, EU, and Turkey do not have an additional effect on exports compared to PTAs in general (which averages about 21 percent). In fact, the additional effect is negative in the case of the EU-MENA PTA, not significant in the case of the Turkey-MENA PTA, and largely accounted for by Jordan’s Qualifying Industrial Zone (QIZ) in the case of the US-MENA PTA. By contrast, PAFTA and the Agadir Agreement for the Establishment of a Free Trade Zone between Egypt, Jordan, Morocco, and Tunisia do have an additional effect in expanding the exports of their members. It should be highlighted, however, that this expansion is starting from a low intraregional trade base. The ways in which rules of origin are calculated in different PTAs can inadvertently impede trade. Rules of origin exist in the different PTAs to preserve the value of preferences accorded to PTA members when they maintain different external tariffs. Typically, PTA members define a percentage of the value-added that must originate in another PTA member for the product to be deemed eligible for preferential tariff treatment. The rules of origin prevent products from entering the member country with lower external tariffs for transshipment to another PTA member that maintains higher tariffs against the third country’s goods. As a result, the rules of origin penalize regional producers by forcing them to source from less efficient suppliers located within the region, rather than from the most competitive sources globally. Mustapha Rouis is Lead Economist in the Chief Economist’s Office of the World Bank’s Middle East and North Africa Region. During his long tenure at the World Bank, he has worked on East Asia, Africa, Europe and Central Asia, Latin America and the Caribbean, and the Middle East and North Africa. He served as Country Manager for Yemen and Tajikistan. His work has covered a variety of economic topics, including policy reform, public sector management, trade policy, and development assistance. Steven R. Tabor is an economist and director of an economics advisory firm in the Netherlands. He has worked as an advisor to governments in Asia, Africa, Europe, Latin America, and the Pacific. He has provided assistance to several multilateral development banks in development evaluation, strategy formulation, and quality assurance. His work has centered on public finance, development planning, regional integration, monitoring and evaluation, poverty reduction, and aid effectiveness.